Fleming makes a couple of mistakes in Live and Let Die here. 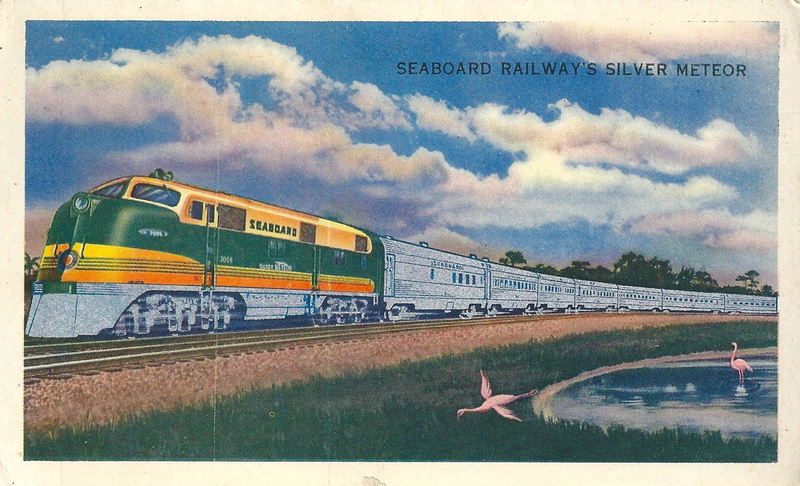 The colors of the locomotives he decribes belong to the Seaboard railroads competitor the Atlantic Coast Line. 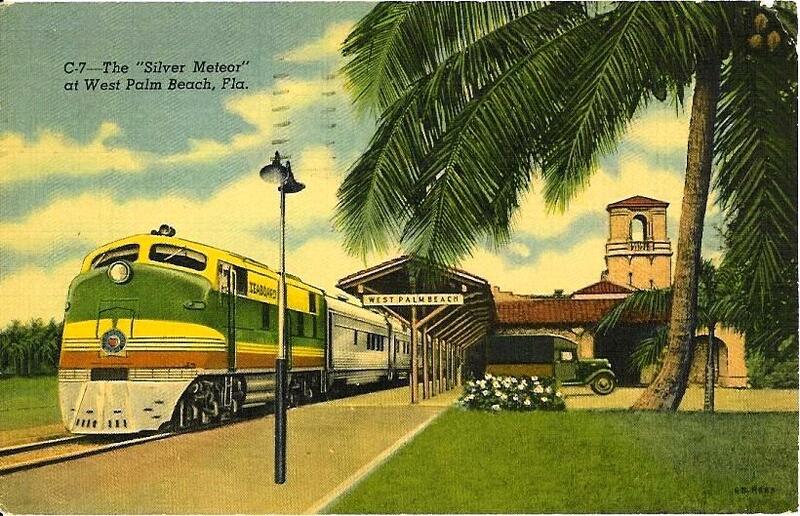 The second is that out of Pennsylvania Station the Silver Meteor (or any train) would have been powered by an electric engine, likely one of Pennsylvania Railroads classic GG1 locomotives. Diesel electric engines would have taken the train over at Washington D.C.